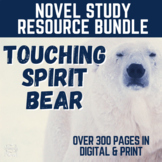 This packet includes quizzes and answer keys for the book Touching Spirit Bear by Ben Mikaelsen. There are 2 quizzes in the packet (Part 1 and Part 2). Each quiz contains the following questions: vocabulary, characters, true/false, multiple choice, short answer, essay and extra credit. 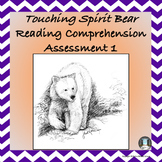 Touching Spirit Bear Quizzes and Part 1 Test! - Chapters1-3 -Chapters 4-6 -Chapters 7-9 -Part 1 Test -Chapters 13-15 -Chapters 16-18 -Chapters 19-21 AND A GRADING RUBRIC FOR THE PART 1 TEST! 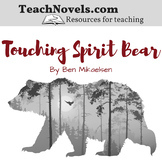 Includes quizzes, tests, discussion questions, and more for the novel by Ben Mikaelsen. Discussion/Essay Questions available separately. 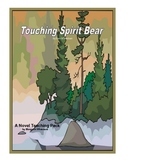 Poetic Devices & Poetic Forms by K. Peeples is licensed under a Creative Commons Attribution-Noncommercial-No Derivative Works 3.0 United States License. This is a final test to the novel. There are 40 questions that are mixed multiple choice, short answer, and true/false. 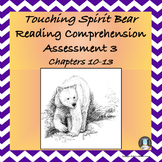 Touching Spirit Bear: Final Exam & Review. I Have... Who Has?